See how our sales team was able to use the features of Sidekick by HubSpot to maintain business relationships and close a six figure deal. 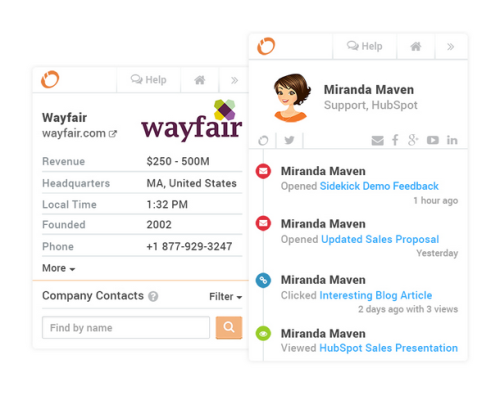 HubSpot Sales is a Google Chrome extension created by HubSpot to provide useful contact insight—right in your inbox. This tool is crucial in helping sales teams track their email efforts. User profiles tied to your inbox – HubSpot Sales ties profiles to your inbox to allow you to see your previous email interactions with a user, as well as their profile, which includes where they work, where they live, where they have interacted with your website and mutual contacts you both share. An example of a HubSpot Sales profile attached to your inbox. 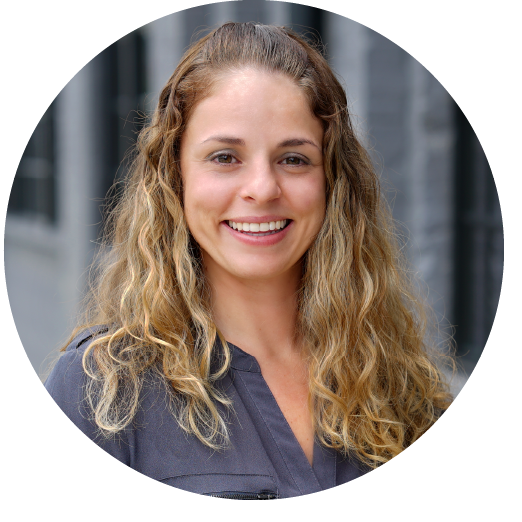 Here you can see how Miranda Maven has interacted with your email content and her attached profile. Know who interacts with your emails – HubSpot Sales lets you see who and how many times someone has opened and clicks on your emails. 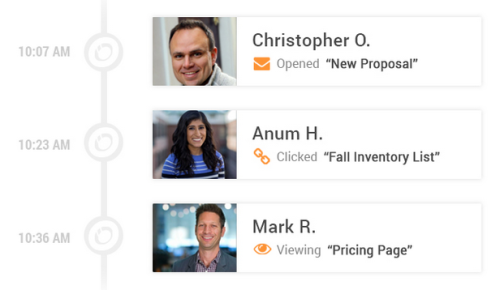 Use HubSpot Sales to see who is opening, viewing or clicking links in your email and at what time. Schedule emails – With HubSpot Sales, you can time your emails to go out at different times throughout the day and even set reminders to schedule out emails. 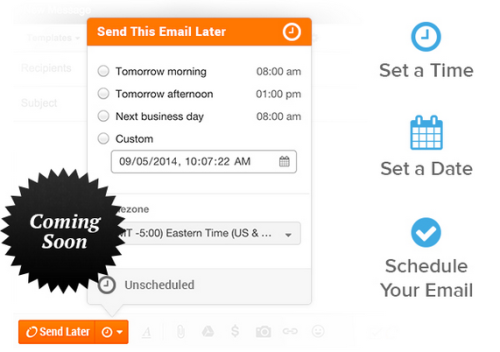 Coming soon, we’ll be able to write emails and schedule them by day, time and specific to certain time zones. In an age where a salesperson's day is jam-packed with connecting across multiple platforms and mediums with prospects, this magical tool provides further insight into how prospects interact with your emails and website presence. Recently, this sales gem helped me reconnect with a long-time "friend of the program" who had been all over our website looking at recent work and some of our newest blogs. Being able to see this level of activity through HubSpot Sales gave me the opportunity to reach out. As it turned out, the company was looking for a new partner to help build out a new consumer site. Sure enough, we met within a week, and within four weeks we were contracted and the deal was done. HubSpot Sales is a great tool that allows me to make a more relevant connection, at a more relevant time, that is personalized to each individual interaction. While I don’t expect every HubSpot notification or signal alert in 2015 will lead to a $100K deal for my business, this case did prove that, with insight to who and how people are engaging with your website and emails, your sales team is able to be more effective, and therefore help close more business. At Groove, our goal is that technology and automation are not used to replace human interaction, but rather make experiences more streamlined and relevant to the end user. With better visibility, we're helping companies and even ourselves make more relevant connections with our audience, and as a result we're seeing an increase in conversion. With the right tools in place, technology truly can be the best to help achieve our goals and satisfy our customers. If you're looking to see how HubSpot and HubSpot Sales by HubSpot can help your sales force close more business, contact us today!